First time on the market. 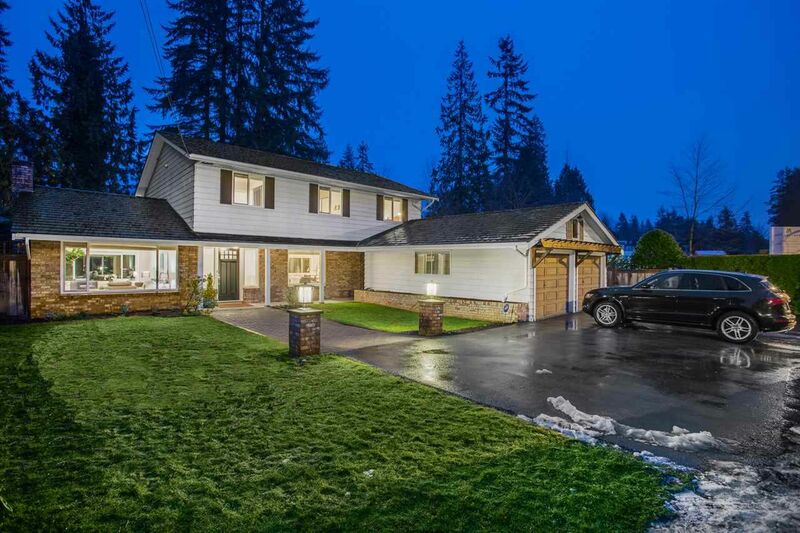 Offering an outstanding family residence within a short stroll to the shops of Edgemont Village, Cleveland Elementary and the Capilano Suspension Bridge. This is a real Gem featuring a sensational renovated 4 bdrms, 3 bathrooms on 2 levels with a traditional floorplan that offers across the hall formal living room, an open Kichen/Dining and Family Room lending itself to a warm family atmosphere. Highend appliances, rich engineered flooring, gas fireplaces plus a huge 1100 sq ft sun soaked patio with a gas firepit and loads of grass area for the kids to roam. For the large family what a perfect residence.